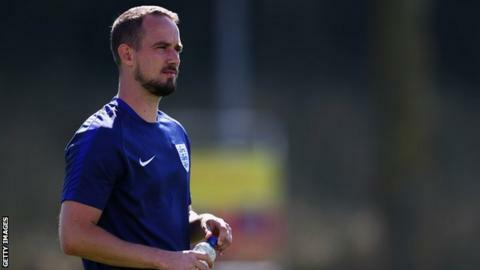 Football Association bosses are set to face a parliamentary inquiry on Wednesday over the investigations into former England women's boss Mark Sampson's alleged racism and bullying of Eniola Aluko. The Chelsea Ladies striker - and her ex-England team-mate Lianne Sanderson - have also been invited to give evidence to the Digital, Culture, Media and Sport Select Committee from 14:30 BST. FA chairman Greg Clarke, chief executive Martin Glenn, technical director Dan Ashworth and human resources director Rachel Brace will then answer questions from MPs. On a day of potentially huge significance for the reputation of the governing body and its most senior officials, the FA will also reveal the findings of barrister Katharine Newton's reopened investigation into the claims, after hearing new evidence. 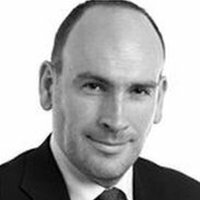 Sampson, who denies the allegations and was cleared of discrimination by two inquiries, was sacked last month for "inappropriate and unacceptable behaviour" in a previous job. Aluko has not added to her 102 England caps since making her claims in 2016 as part of an FA inquiry into its management culture. The 30-year-old accused Sampson of belittling her, making racist remarks to both her (in the form of a comment about her Nigerian family and the Ebola virus) and a team-mate. Aluko also said she suffered "victimisation as a result of reporting discrimination". Sampson, 34, said his conscience was clear, and denied being a racist. Aluko subsequently reached a settlement of about £80,000 with the FA, which insisted it was to avoid the threat of an employment tribunal disrupting the England squad's preparations for Euro 2017. Following an internal review that cleared Sampson, Newton reached the same conclusion, but the FA faced calls for a more thorough investigation after it emerged key witnesses had not been interviewed. Aluko claimed Sampson asked mixed-race England midfielder and Chelsea team-mate Drew Spence whether she had been arrested during a tournament in 2015, a claim he also denied. Spence subsequently submitted evidence to support the allegation, forcing the FA to reopen the investigation, and Newton has now decided whether that is enough for her to change her original verdict - or clear Sampson for a third time. Her updated report will be published at the start of the hearing. With the controversy intensifying, Sampson was dismissed last month for unspecified "inappropriate and unacceptable behaviour" with female players in a previous job at Bristol Academy in 2013. It emerged that, following a complaint in 2015, a safeguarding assessment found the following year that he did not pose a risk, but the FA's leadership said that having been made fully aware of the details of the claims made against Sampson, he could no longer continue in his role. The FA insisted its decision was not related to Aluko's claims, but sports minister Tracey Crouch described the situation as "a mess". Why did Brace suddenly warn Aluko about another FA investigation - into her consultancy role with a football agency - a day after meeting her to discuss the Sampson claims?